How to view request execution log in SoapUI? When you run a test, SoapUI keeps a log file the execution of each request in the test. 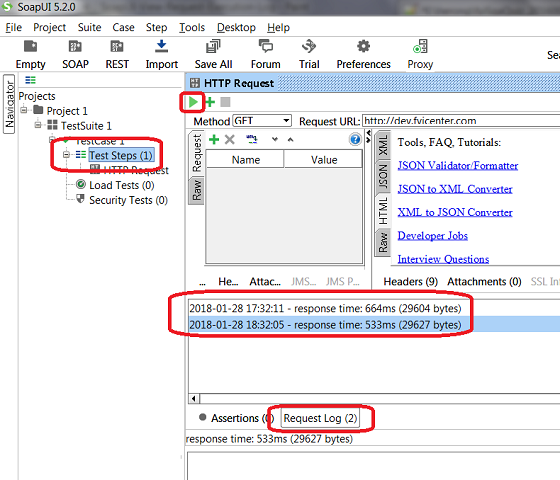 You can follow this tutorial to see view the log file of each request in SoapUI. 6. If you run the request again. You see another message is added to the log. Be default, SoapUI records the response time of the request in the log.